Working abroad sounds like an adventure to many people. However, jobs in the Czech Republic needs more than the Czech visa and just the obvious Czech cover letter and Czech CV writing and translation - it requires thorough preparation. You will face problems that in all probability did not even cross your mind when you decided to try Czech jobs. Do not take too lightly the influence a Czech visa can have on the result of your adventure! For example, you will experience the unfamiliar immigration rules and practices, job application procedures, the job selection trends and the management culture. Submission of The Czech Republic Visa application at VFS center, you may apply at New Delhi, Mumbai, Kolkata, Chennai, Hyderabad or Bengaluru. The processing time is minimum 10 working days. Applications with the date of departure earlier than 8 days after the date of submission will not be accepted. As part of the worldwide introduction of the Visa Information System (VIS), All Schengen consulates worldwide will be connected to VIS by the end of November 2015. The VFS Czech Republic Visa Application Centers will accept visa applications from Indian nationals, who wish to travel to Czech Republic. VFS will submit all such visa applications to The Embassy of The Czech Republic located in New Delhi. Please keep in mind that all applications should be handed in minimum 10 working days ahead of the intended travel date, unless extraordinary circumstances are demonstrated and approved by the Embassy. Failure to comply with the application procedures will be met by a warning. Repeated misconduct may result in cancellation of an agent’s authorization. In case of travel to more than one Schengen country, please submit your application to the Embassy / Consulate where you will be staying for the maximum number of days. In case of equal stay, one has to apply at the Schengen country which is the first port of entry. Travel Agents/Representative is coming to submit the application he needs to carry a photo id of himself and an authority letter from the applicant / company. A person collecting on behalf of Government officials if authorized on the Government letter head. It is also mandatory to mention applicant’s personal address on the covering letter on which passport has to be couriered. Applicant's passport will not be couriered to their travel agencies 'addresses as directed by the Embassy. In case of a business applicant, if the applicant wishes to receive the passport to his/her office, then the same needs to be mentioned in the covering letter and the applicant’s office address needs to be mentioned in the courier request form. For application withdrawal cases, the passport needs to be collected from VFS Globalonly.Processing time will be minimum 10 working days (excluding day of submission at VFS). Applications accepted at The Czech Republic visa application center will be submitted on the next working day to the Embassy. Applications submitted at VFS center on Thursday and Friday every week will be forwarded to the Embassy of The Czech Republic on the following working day i.e. Monday. Please plan your travel dates in advance to avoid any inconvenience. 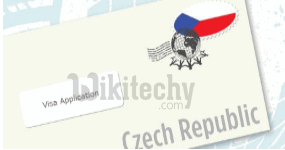 In case an application needs to be referred to The Czech Republic Immigration Service, processing time can prolong. If necessary Immigration Services holds the right to prolong processing time. 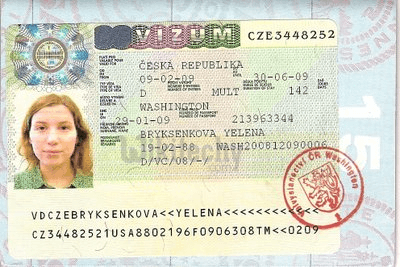 Collection of the processed passports from the VFS Czech Republic Visa Application Centers can be done on all working days from Monday to Friday except on holidays. Applicants can instantly track the status of their application online by clicking on Track your Application. There will be no need to follow up with the Embassy or the call centre to ascertain when the passport will be returned. The signed application form must be accompanied the rest of the above-mentioned mandatory documents and handed personally at the appropriate embassy/consulate or its representative in your home country. 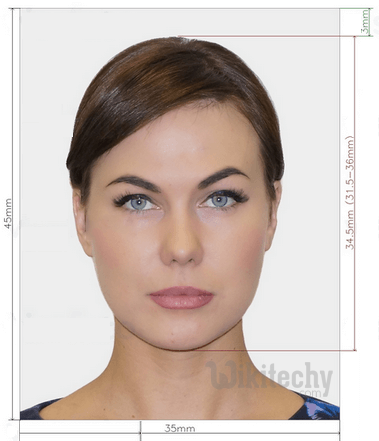 Original passport with at least six months of remaining validity and with blank visa pages, a photocopy of the passport's data page and the photo page if it is separate. There are two ways to prepare your application form. You may complete an Online Application Form (where a Visa Centre provides such service), print it out and sign it; or, you can download the application form from our website and fill it out manually and sign it. Please remember to bring the completed form to the Visa Centre to submit your application. Information of the inviting party (incl.name, contact telephone number, address, stamp, signature of the legal representative or individual). The invitation letter may be in the form of fax, photocopy or computer printout, but the consular officer may require the applicant to submit the original of the invitation letter. An issuer of invitation letter who is an individual in czech republic should also provide a photocopy of his/her Chinese ID. Application Service Fees are non-refundable. CVASC does not provide urgent service for ordinary applications. It is available at the embassy in New Delhi for passport holders other than ordinary passport. For Express Service (next working day collection), you will have to submit your application before 11:00, and pick it up after 15:00 on the next working day. 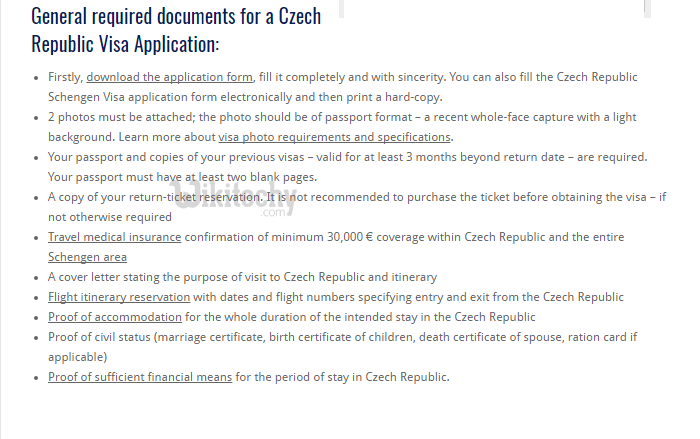 A valid visa is required to enter and exit czech republic and must be obtained from czech republic Embassies and Consulates in your home country before traveling to czech republic.